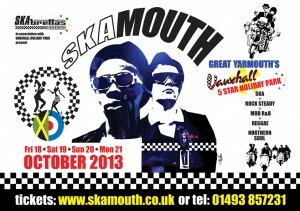 The 4th Folkestone SKA Festival takes place on 16th, 17th & 18th August 2013. See you there… SUN, SEA AND… SKA! Teflon (aka John Sims) was recently interviewed by DerDude Ska and published in Dynamite Magazine in Germany. It was an interesting interview spanning 5 pages with some stories from over 30 years ago, pictures and 2 Tone graphics. See www.dynamite-magazine.de for further details to purchase. You are currently browsing the classic 2-tone graphics news archives for February, 2013.